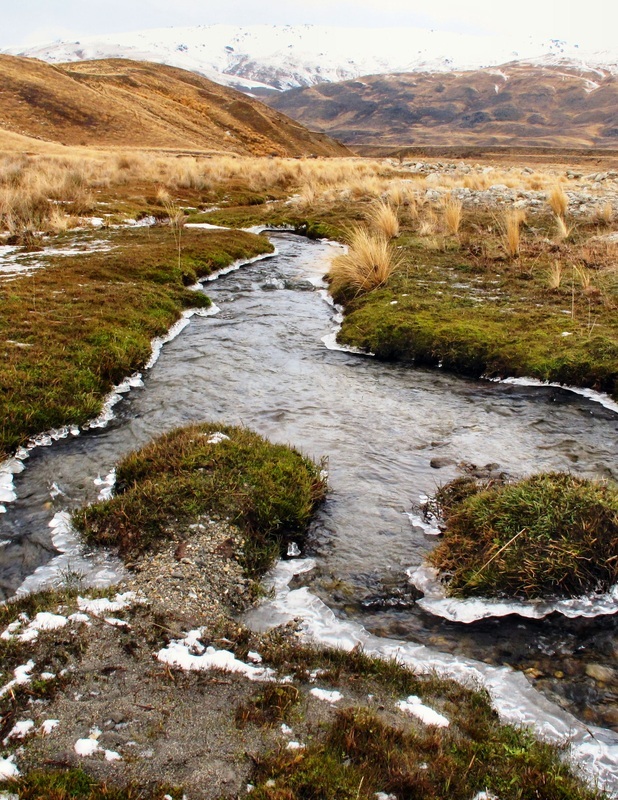 Found nowhere else on earth, Nevis galaxias are solely found in the Nevis catchment in Otago. Their remaining populations are found in less than 5 hectares of habitat. The Nevis galaxias is one of Otago’s remarkable galaxiid species. 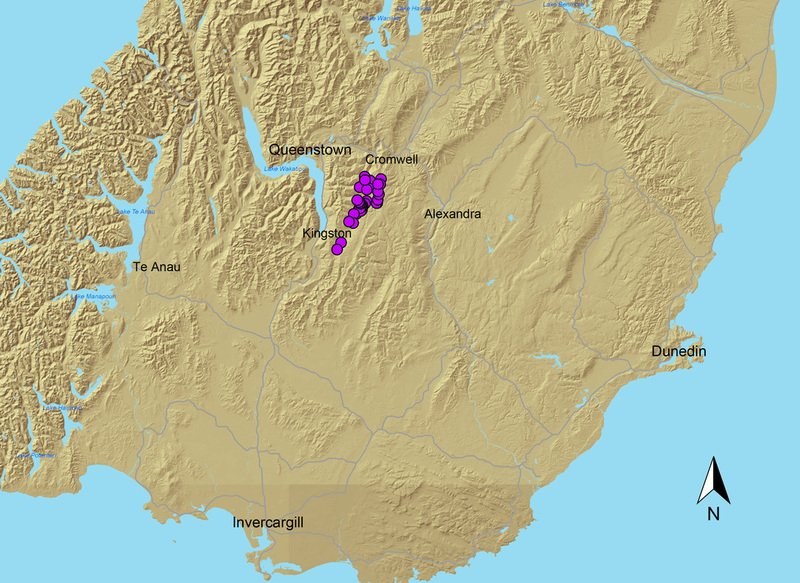 Originally they were thought to be large Gollum galaxias (a close relative), but genetic analysis found they were a distinct ancestor who became isolated in a rare and fascinating geological event where the Nevis River changed direction, reversing its flow into the Kawerau river. Today, these ancient Nevis galaxias are found only in the Nevis River. Classified as Nationally Vulnerable, these quirky fish share the same threat status as our Hector’s dolphins. Their remaining populations are found in less than five hectares of habitat. Nevis galaxias have long streamlined bodies with large fins which aid them in their climbing abilities. Their bodies are bronzed to grey-brown in colour and covered in darker brown splotches or speckling. Their torsos are flanked with silver speckling and they look like they’ve been dipped in gold metallic dust. Nevis galaxias are pretty cryptic and often go undetected by day, hidden amongst the gravels and cobbles. They typically grow to 100 mm in length but can get up to 170 mm at their largest. Nevis galaxias feed on small stream invertebrates such as mayflies and stoneflies. They spawn in spring (October to November) laying small 3mm eggs in stream vegetation on the stream banks during flood flows. Nevis galaxias are found in tannin stained waterways solely above the gorge on the lower Nevis River where it joins the Kawarau River – an area made famous from the ‘kings gate’ in the Lord of the Rings trilogy. Over the last decade we have lost 25% of known galaxiid populations. These losses can be directly linked to a number of pressures. 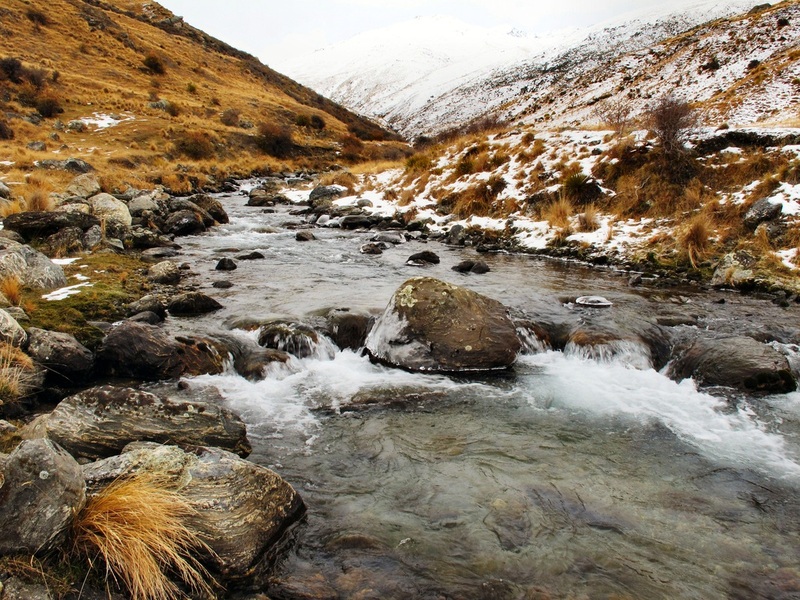 These include the introduction of sports fish (trout and brook char), and changes in land use such as stock access to streams, reduction of native vegetation, land development and forest harvesting. These land use changes have been found to impact on streams and the galaxiids that live there, by increasing sedimentation, changing natural flows through water abstraction, and reducing the amount of habitat available to galaxiids to spawn.